Caption - South African Railways (SAR) class 24 2-8-4's head a heavy freight on the Breyten to Lothair branch. This lightly laid secondary line had quite heavy traffic requiring the use of pairs of 24s on the heavier trains. 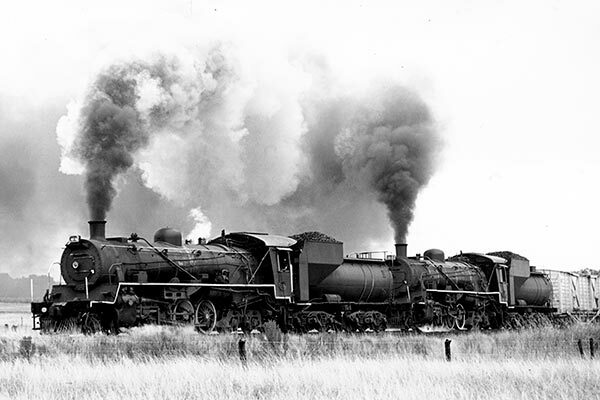 Like many South African branches, there were frequent changes of gradient and some lengthy sections of uphill work which meant that the loco were often worked hard. Taken in April 1984 the weather was rather miserable hence the use of black and white rather than my preferred colour slides.